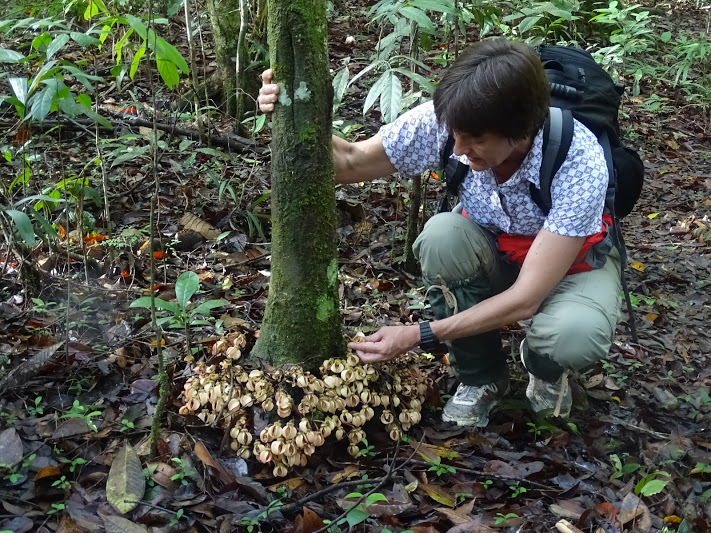 In principle, the NRRN welcomes any individual or group who wishes to conduct tropical rainforest research or related activities at the Maliau Basin Conservation Area and surrounding areas. However, we prioritize applicants who are affiliated with one of the member institutions from the Nordic countries either directly as graduate student or above (professor, lecture etc.) or through a partnership with one of the member institutions, see Membership for more. It is also required that sufficient funding for all research activities and related costs (transfer, accommodation, food, insurance etc.) is covered by the applicant as the NRRN does not have the opportunity to provide grants for applicants. Though, we do hope to provide small grants for research projects in the future. All applicants must send a research proposal/application to the contact person of relevant member institution. The application will be forwarded to the NRRN and upon acceptance be sent to the Secretariat of Yayasan Sabah who, ultimately, will approve the application. Once the application is approved and research permit obtained, the applicant must, before entering and commencing research in Sabah, apply for a visa to Malaysia in their respective country. The MBMC will assist in obtaining the required visa – for more information on the visa application process please contact the Secretariat. It is very important to note that in order to receive the special benefits and lower rates provided by the NRRN under the MOU with the MBSC and Yayasan Sabah it is important that the applicant applies through the NRRN Secretariat and not directly through the local organizations. Applying directly will result in a prolonged application process and less favourable rates. We encourage applicants to apply to the NRRN at least six months before commencement of research in order to ensure a smooth and comfortable application process.